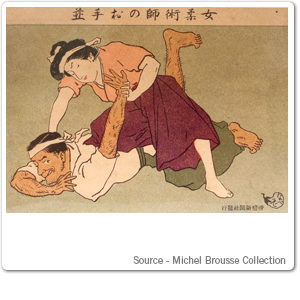 The takenouchi-ryu martial art system founded in 1532 is considered the beginning of Japan’s Jujitsu forms. Judo was derived from Jujitsu, the art for either attacking others or defending oneself with nothing but one’s own body. 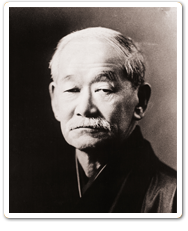 In 1882, Dr. Jigoro Kano (The Father of Judo) made a comprehensive study of the ancient self-defence forms and integrated the best of these forms into a sport which is known as Kodokan Judo. The term Kodokan breaks down into ko (lecture, study, method), do (way or path), and kan (hall or place). Thus it means “a place to study the way”. Similarly judo breaks down into ju (gentle) and do (way or path) or “the gentle way”. Prof. Kano adopted the superlative parts of all the Jujitsu schools, got rid of precarious parts and the Kodokan Judo was recognized in a few years to be excellent since its students overwhelmed the Jujitsu athletes at the Police Bujitsu Contest. The categorization of Kodokan Judo was completed about 1887. The Kodokan had three broad aims: physical education, contest proficiency and mental training. Proceeding with the organization of the Kodokan and enacting the regulations of Judo, Prof. Kano became the first Asian member of the International Olympic Committee in 1909 and worked for the spread of Judo world-wide. Judo became an official event in the Olympic Games of Tokyo in 1964, backed by Judo fans and sport promoters all over the world. In his lifetime, Jigoro Kano attained a doctorate degree in Judo, a degree equivalent to the twelfth dan, awarded to the originator of Judo only. He constantly worked to ensure the development of athletics and Japanese sport in general, and as a result is often called the ”Father of Japanese Sports”. In 1935 he was awarded the Asahi prize for his outstanding contribution to the organizing of sport in Japan during his lifetime.